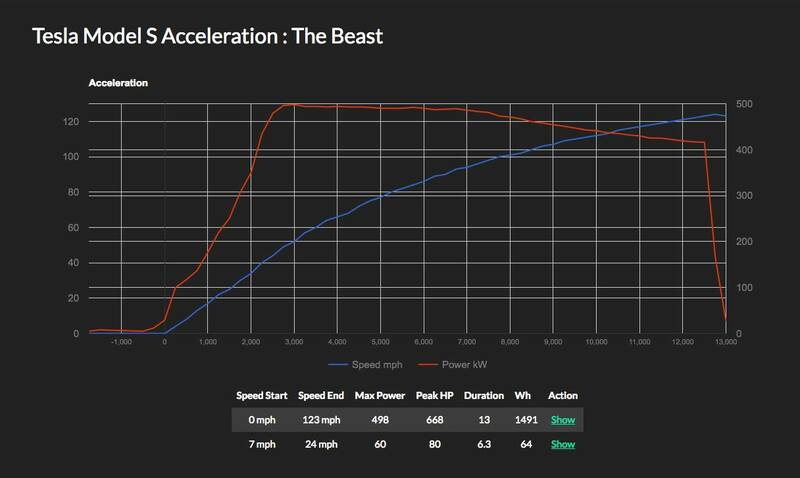 Took the Tesla up to Santa Pod Raceway for a RWYB day, here is the data from the fastest run of the day (only got 2 runs as it was stupidly busy). Battery at around 90-95% SOC, Max Battery, Ludicrous, head wind and slightly damp track. Data via TeslaLog.